Who may benefit from tooth whitening pens, teeth whitening gels and teeth bleaching kits? How do the teeth whitening process work? How do Teeth Whitening Gels remove stains and whiten teeth? How much teeth whitening gel do I need to whiten my teeth? Teeth Whitening - Is it a permanent treatment? I already have a set of teeth bleaching trays. Can I buy just the teeth whitening gel? Can I buy just the teeth whitening gel? Are your teeth whitening products the same thing dentists sell me for Â£500 or more? Is it safe to bleach and whiten my teeth at home? Are there any side effects from whitening teeth? Can I use the tooth whitening pen along with my teeth whitening home care kit? Will my teeth get sensitive using the teeth whitening pen? Do you offer different strengths of teeth whitening gel? Do most people buy the teeth whitening pen and a complete teeth whitening kit? How many times can I use the teeth whitening pen in one day? I bought a teeth whitening kit from another site and made a mess of trying to heat the moulds. Are yours the same? I lost my instructions on how to use. Can I find them on your site? I bought a teeth whitening system. Can I buy separate mouth trays for others to use? Almost everyone. However, there are some cases where teeth whitening treatment may not be effective. Tooth whitening treatments are ideal for patients who have healthy, unrestored teeth and would like a whiter, brighter smile. Tetracycline discolorations and artificial dental work are usually not greatly responsive to dental bleaching. Teeth Whitening is actually a bleaching process that lightens discolorations of tooth enamel. Dental bleaching systems use an effective whitening solution retained in a custom-fitted mouthpiece that is worn over your teeth for 1 hour per day. Many people notice an immediate whitening of their teeth just a few hours of bleaching, but it usually takes between 10 - 30 hours of cumulative bleaching time to complete the whitening process. You can break your hours into just a few days (for people who are in a hurry) or a few months (for people who are not). Professional strength teeth whitening gel formulated with 16% and 22% carbamide peroxide is the most widely used and most desirable active ingredient in effective dental bleaches. Tougher staining may require longer timeframes or stronger whitening gel (like our 35% formula). Our Teeth Whitening Gels, Teeth whitening kits and tooth whitening pens will remove most stains with a gentle action that whitens your teeth. As the active ingredient in the teeth whitening gel (carbamide peroxide), is broken down, oxygen acts upon the stained organic deposits, which oxidizes them into a white colour. This process makes the overall tooth colour closer to its natural unstained colour. Your tooth structure remains unchanged. Years of clinical tests have demonstrated the safety and effectiveness of this system. Over 95% of people treated achieve an excellent level of tooth whitening. Crowns, bridges, bondings, and fillings do not lighten with dental bleaching systems. Each application will take approximately .5 ml per mouthpiece. That’s 1 ml per dual-arch application. If you wear your mouthpiece an average of one hour per application, you will need about 20 ml (or 2 10ml syringes) to complete the whitening process of 40 cumulative hours. If you have less teeth whitening gel, then you can increase the wear-time per application to make your whitening gel go a little further although it has been proven that the gel does go inactive after 3 hours. 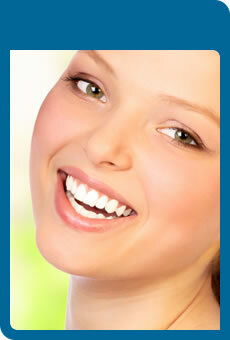 For most people, the teeth whitening treatment will last for many years. Your teeth have become stained in the first place from consuming foods and beverages. Upon the completion of your initial bleaching process, your teeth are restored to their natural white colour. Exposure to foods, drinks (especially coffee, tea and red wines), smoking and other consumables will gradually darken teeth again over time. You may want to periodically bleach your teeth. After an initial treatment, most people do touch ups about once every 6-12 months. 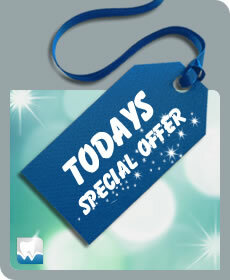 Yes, we sell 16% 22% or 35% Carbamide Peroxide teeth whitening gel separately. This refill gel is the same strength that is sold in complete teeth whitening kits and professional dental offices. It can be used with any dental tray in the same way as your previous whitening gel. Yes, our systems use the same active ingredients, percent concentration and methodology as those used in professional dental offices. In fact many dentists sell our whitening gel to their patients. Yes, at-home teeth bleaching are designed to be an easy-to-use system with detailed usage instructions. Over a decade of research indicates that whitening teeth with carbamide peroxide is safe and effective. All of our products comply with FDA regulations. Some people experience temporary tooth sensitivity during treatment. Others have reported discomfort in the gums or in loose fillings. Gum irritation usually disappears within 1-3 days after beginning the procedure and always upon the discontinuation or completion of treatment. There are no other significant side effects. NOTE - Pregnant or nursing women should not engage in dental bleaching. Yes. These teeth whitening pens are great to use in conjunction with our teeth whitening kits. No. Because you are only brushing the solution over the desired teeth, there should be little contact with your gums and the gel is dry in 45 seconds. Yes. We have found that 16% 22% or 35% carbamide peroxide strength is the best solution and will give you maximum results. Yes. Having the teeth whitening pen will maximize your desired results in a shorter period of time. It is also a great way to maintain your white smile when you have completed your at home teeth whitening. Our teeth whitening pens are 100% safe and can be used as often as you desire. If you have further questions regarding our teeth whitening pens please contact us. We would love to hear from you. NO. We do not offer thermo moulds. They are the biggest waste of time, energy and money. Our moulds are called Dual Arch Mould and much more effective and comfortable. Yes. Visit Instructions on use for complete instructions. Yes. The whole family can whiten their teeth with extra mouth trays. You can also find our refills on our teeth whitening gel page. Our mouth trays have been proven to whiten teeth the fastest and are the most effective trays on the market. If you have further questions about our mouth trays please contact us for further assistance. We would love to hear from you.